Participants must be registered at salmon-ized.com before being elegible. If you aren’t yet registered, please visit to salmon-ized.com/register and register yourslef. 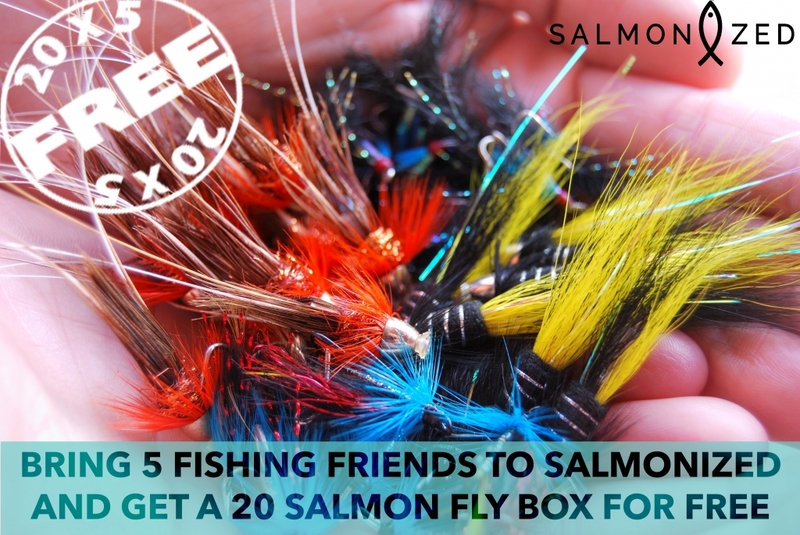 Send us an email to info@salmon-ized.com with the emails they have used to register, and your personal information as full name and postal address to ship the flies. Once checked, our staff will contact you about your elegibility and ship the flies. Campaign valid until end of stock. The beneficiary will have to be registered at www.salmon-ized.com before having their 5 friends registered. The prize will be invalidated if the registered contacts are not fishermen. All winners are solely responsible for any and all taxes and/or fees as well as all additional costs that may be incurred. Salmonized reserves the right to condition the award of prizes upon the execution by the winner(s) of a publicity release. Notwithstanding this reserved right, entry is conclusively deemed to be permission by the entrant for Salmonized to use the entrant’s name (without compensation to the entrant) if the entrant is a winner to publicize the contest and otherwise, as determined by Salmonized, unless prohibited by law. 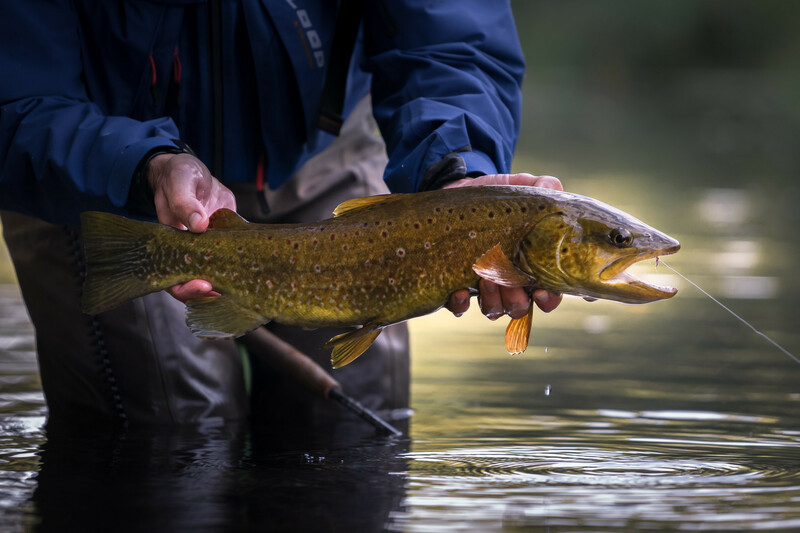 Salmonized reserves the right to require the winner to execute an affidavit of eligibility as a sworn document and provide other proof of eligibility as a condition of receipt of the prize or award. The chosen winners have to provide us more detailed information (first name, last name, address, email, phone number, country of origin). The information you provide will be used only for Salmonized administration and to contact winners. Your information will not be used for any other purpose or shared with any party not affiliated with Salmonized.